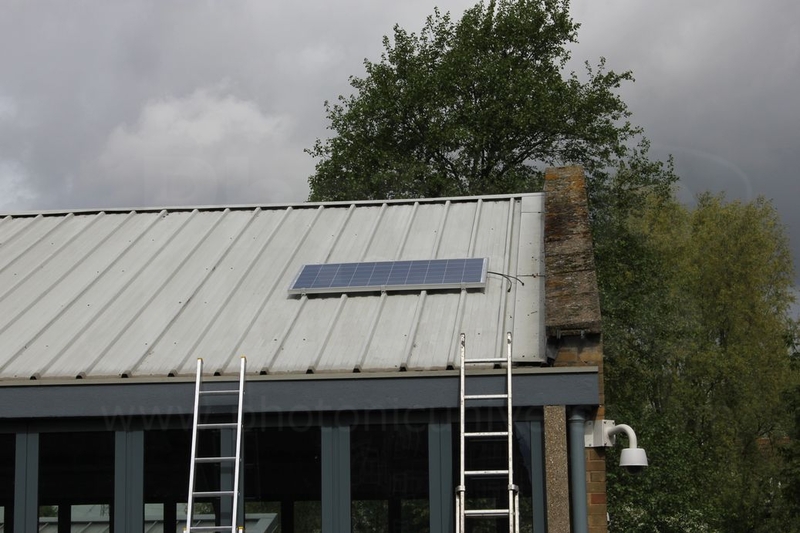 If you require professional installation of one of our solar products, then look no further than our qualified installers, who can provide you with a high quality fitting service. We can install any of our systems, in any sizes, with any components that you wish. This includes solar installations for caravans, motorhomes, boats, off-grid and grid-tie household or commercial solar systems. We provide expert installations all over the United Kingdom. 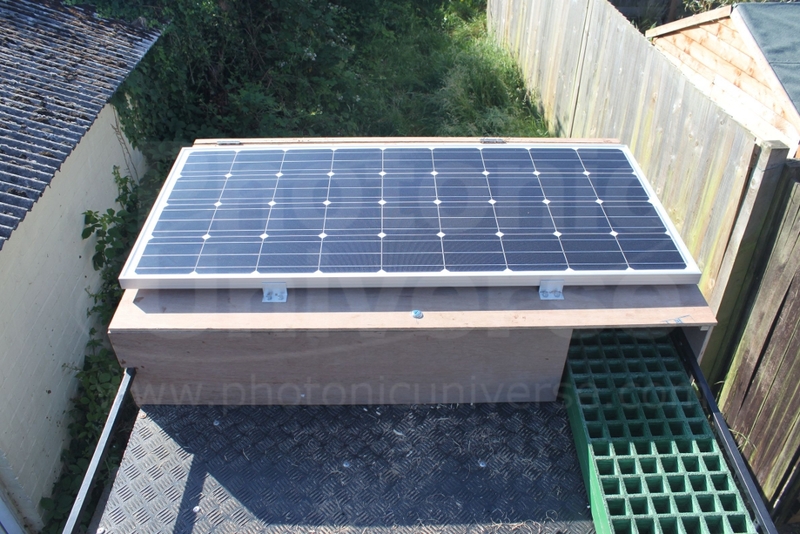 The average price of a solar installation in Greater London for a motorhome / caravan or boat is £250. This cost will vary depending on the complexity of the installation, and might increase outside of Greater London due to additional travel. Unfortunately, we do not install products purchased solely from other companies, however we are more than happy to install combinations of Photonic Universe® products and other suppliers. Our team will respond to your application with the available options within 2 – 3 working days. 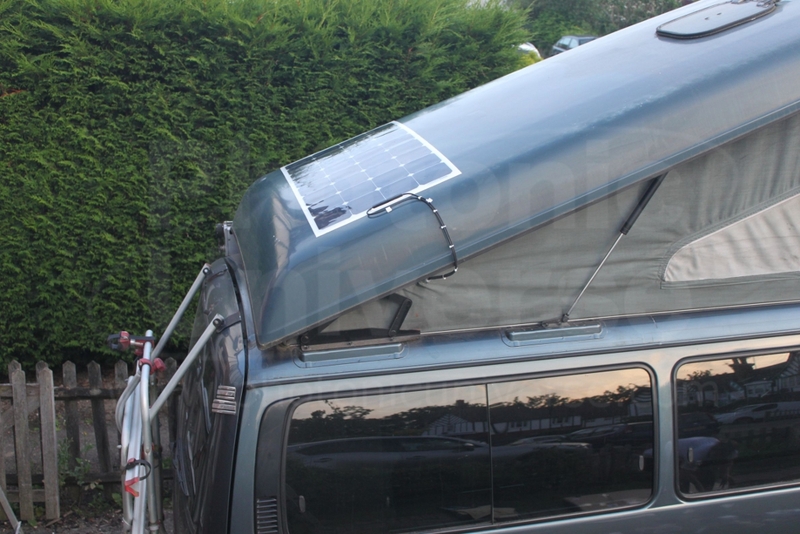 Installation of a 100W solar charging kit with 100W flexible solar panel made of back-contact solar cells on Toyota campervan. High efficiency 20A MPPT controller was used to allow for potential future expansion of the solar system to 200W. Redhill, Surrey. 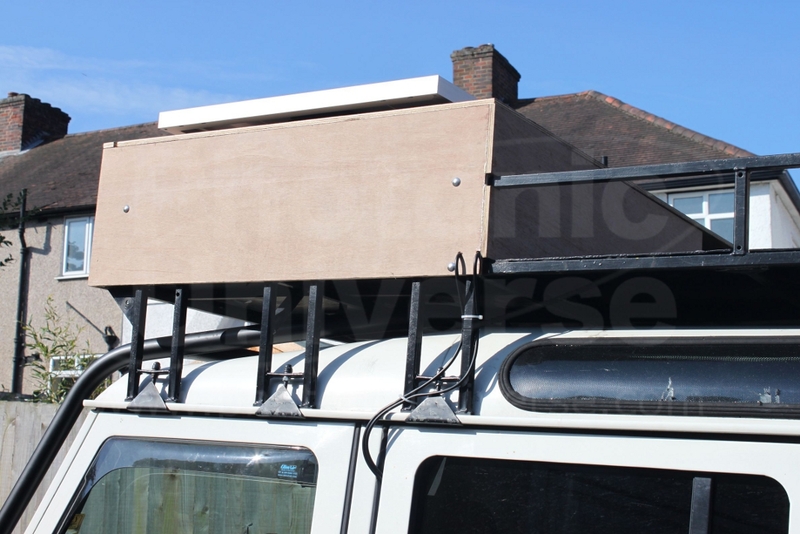 Complex installation of an off-grid solar system with 150W solar panel and 1000W pure sine wave inverter on a Land Rover to prepare it for a trip to Africa. 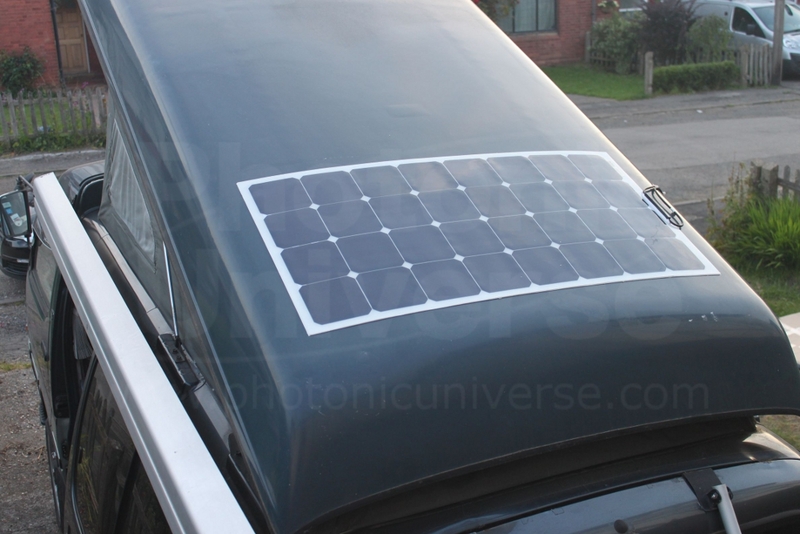 Marine-grade plywood has been used to fix the solar panel to the roof rack and add a tilting mechanism for it. Bromley, London. Installation of a 250W solar panel on metal roof of a building. 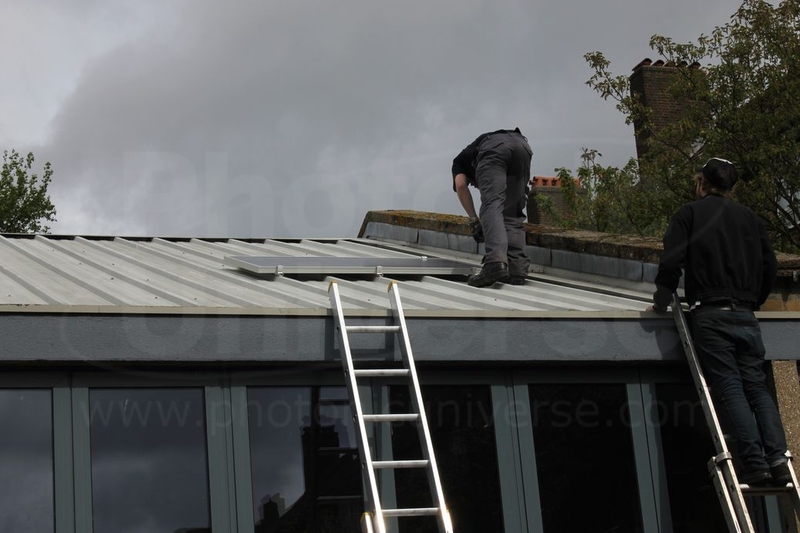 German mounting kit with waterproof membranes has been used to prevent roof leakage. Hackney, London.